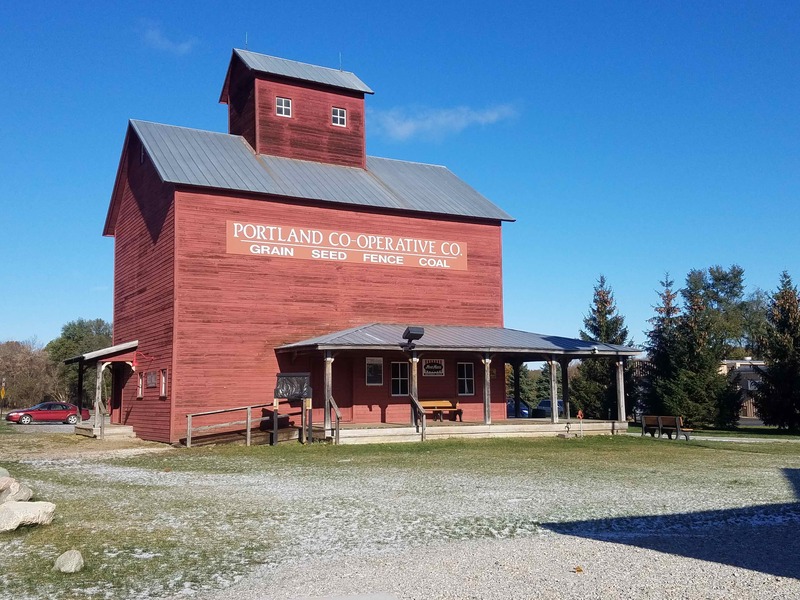 The Old Red Mill began its life as a cooperative grain elevator along a railroad track. When it became obsolete, Friends of the Red Mill—philanthropists, including longtime barn preservation supporter, MBPN member and National BarnAlliance leader, Charles Leik, his brother Ed and their families—who had spent their early years on a farm near- by, funded a renovation for the mill to be used as a farmers’ market. This piece of history was saved. As the farmers’ market outgrew its space, these same philanthropists worked to build a timberframe pavilion. In August of 2015, volunteers of the Timber Framers Guild converged from all across North America to erect this framework using the same type of construction that we see in our old barns. This example of new timber framing was overseen by Rick Collins of Trillium Dell Timberworks, who will be presenting the story of the gigantic Star Barn in Pennsylvania on Saturday at our conference.